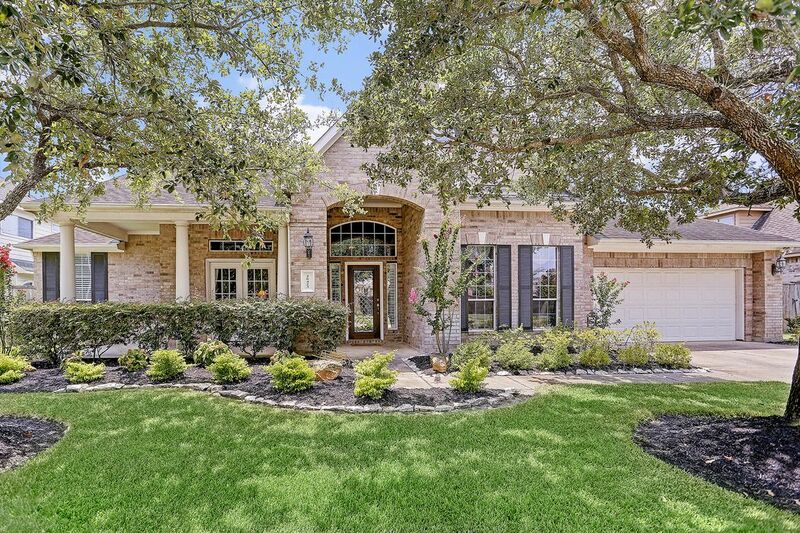 26423 Hidden Timbers Lane, Katy, TX 77494 | Martha Turner Sotheby's International Realty, Inc. 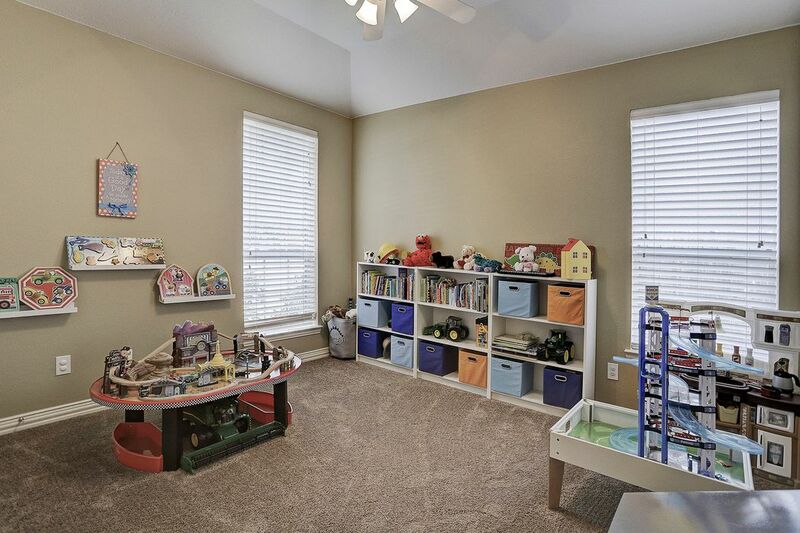 Handsome one story home with front loading 3 car tandem garage and double wide driveway for additional parking. Tree shaded front yard with mature landscaping. View of the swimming pool looking over the water. 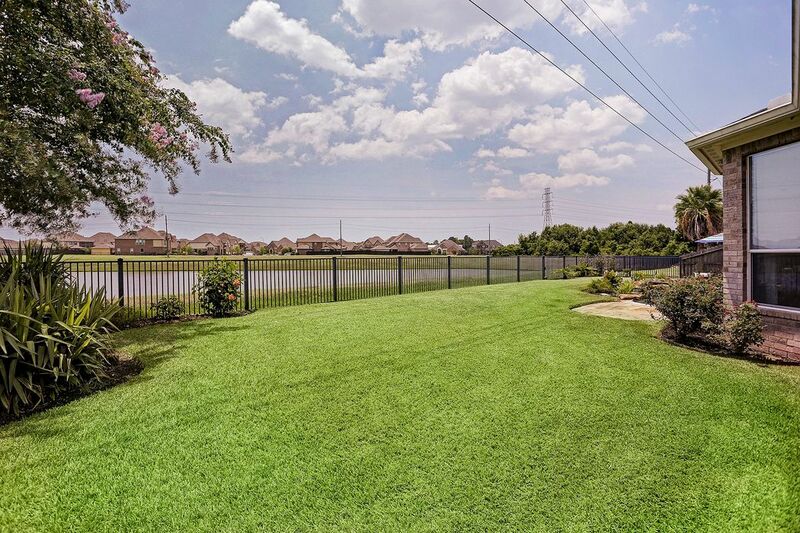 The fenced backyard has a big grass area for dogs and outdoor activities. Beautiful views of the lake. Living area opens to kitchen and breakfast room and also has adjacent gameroom. Great views of the pool and lake. Custom paint on the raised ceiling. Custom window treatments. 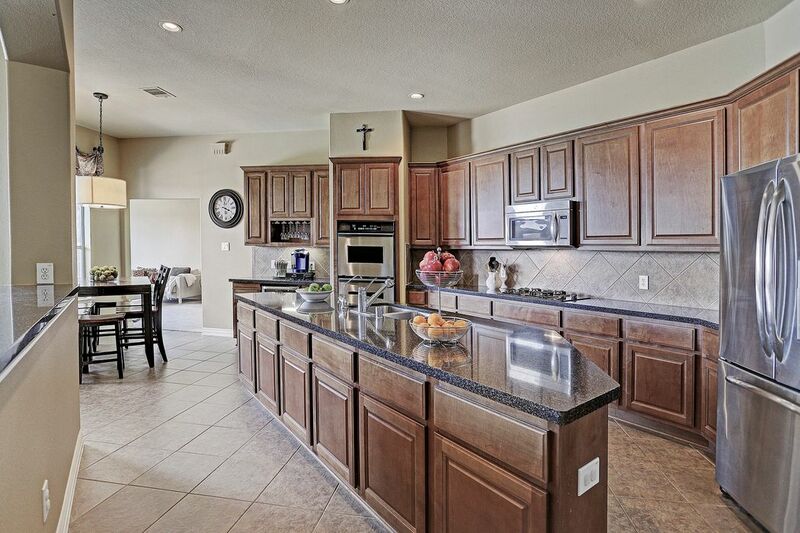 Large island kitchen opens to living area with breakfast bar. Double ovens, gas cooktop, and microwave. Walk-in pantry. Another picture of the kitchen. Great counter space and storage. Stainless appliances. 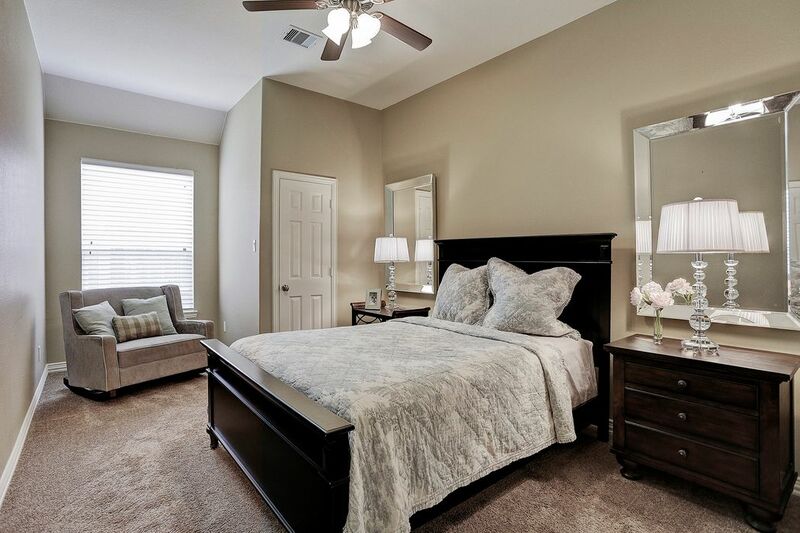 Master bedroom has a bay window with sitting area overlooking the lake. Custom drapes and electric shades. 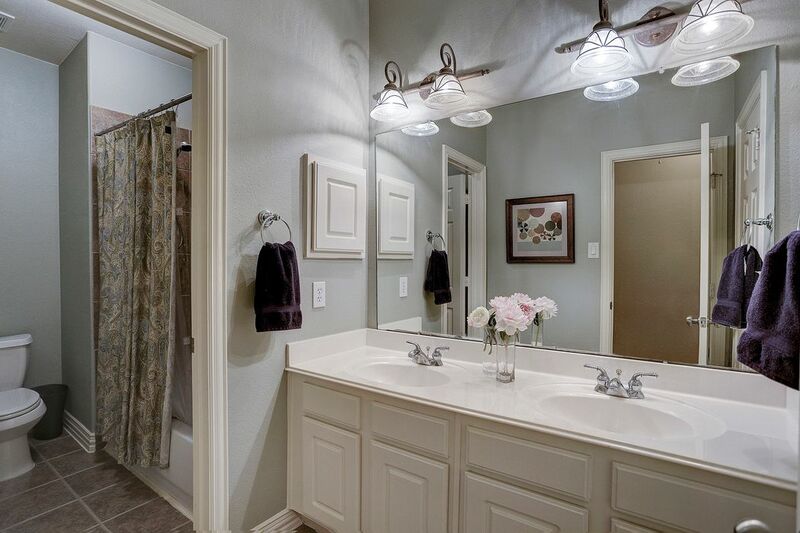 Light filled master with jetted tub and walk-in shower. Decorative chandelier and custom window treatments. 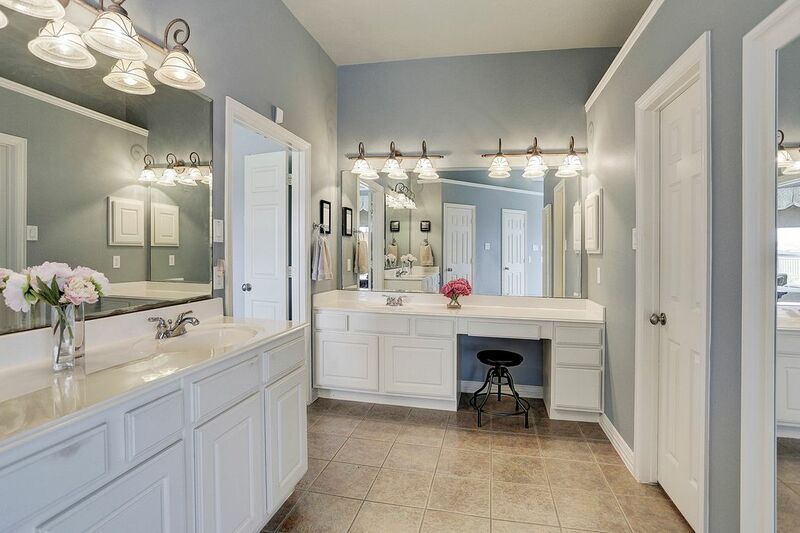 Two separate vanities in the master bath. 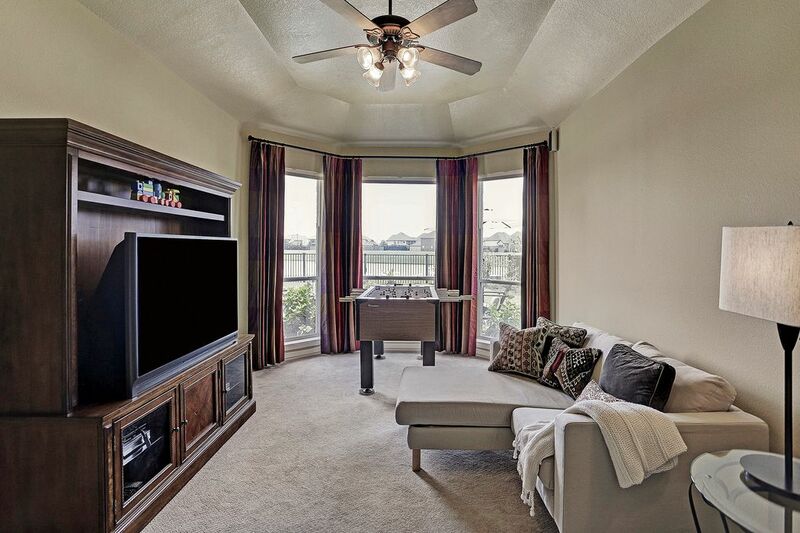 Gameroom is conveniently located next to the main living area and kitchen. 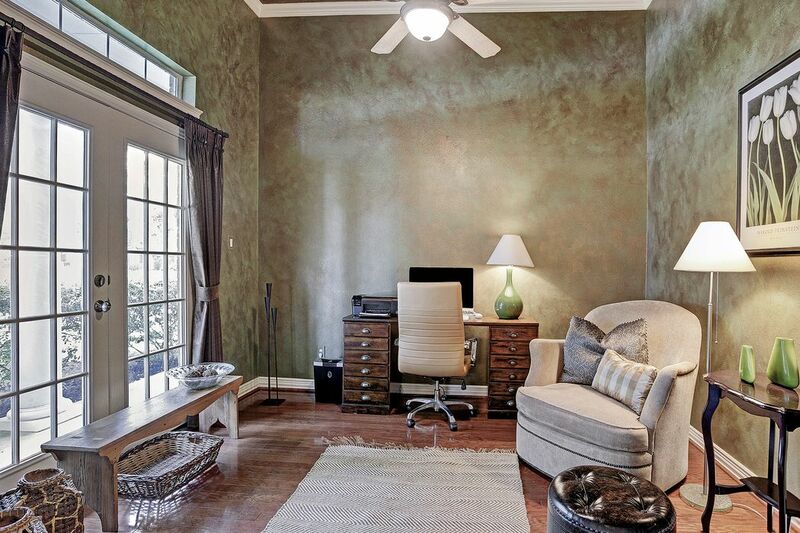 Floor to ceiling bay window overlooks the backyard and lake. 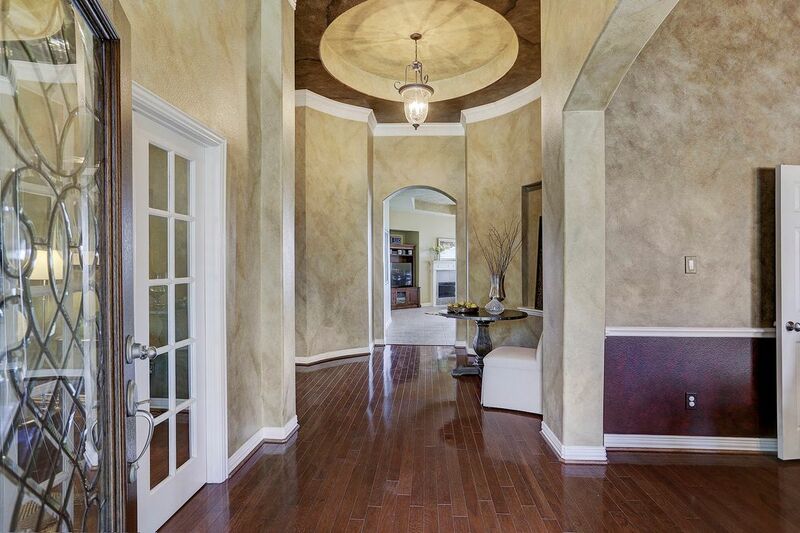 Beautiful entry door opens to grand entry hall. 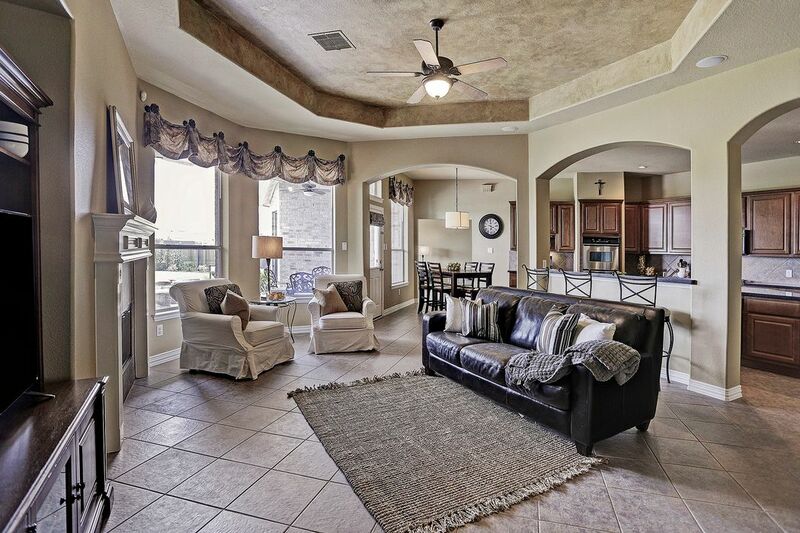 High ceilings throughout the home. Study on the left with french doors and dining room on the right. Custom paint. Rotunda central gallery. Another view of entry hall looking back at the front door. 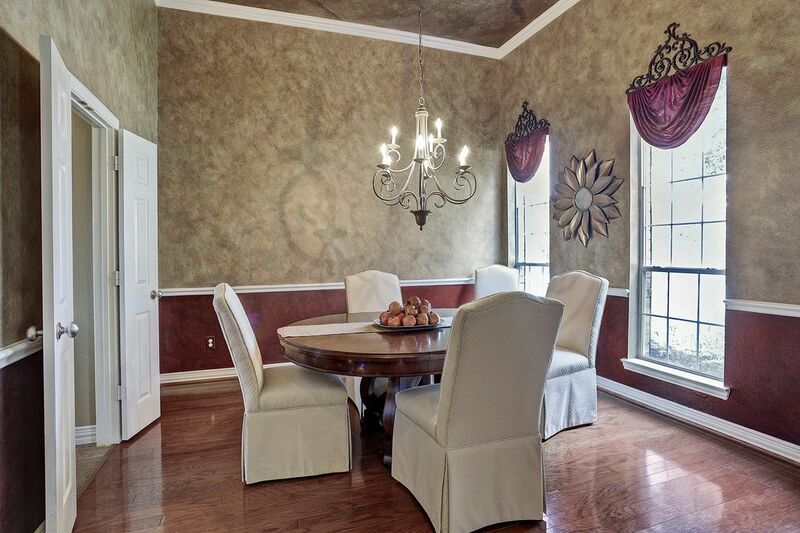 Dining room with custom paint and custom window treatments. 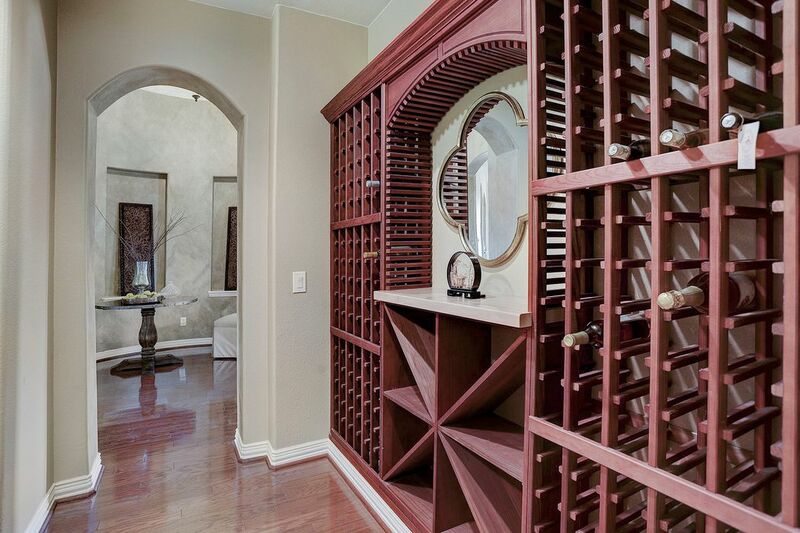 Wine storage area off entry hall. Breakfast area looking into gameroom. Dry bar with drinks refrigerator. 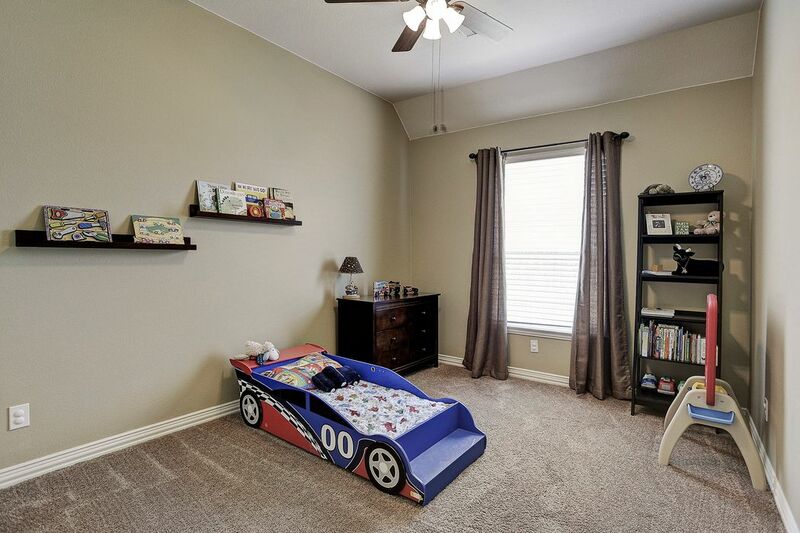 This home has a total of 4 bedrooms. 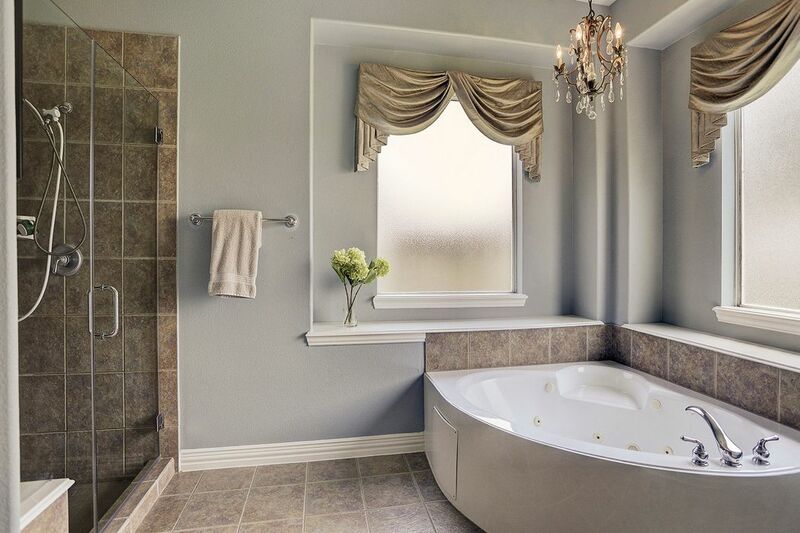 Hall bath with double vanity and separate bathing and toilet area. Lagoon style pool with spa and waterfalls. 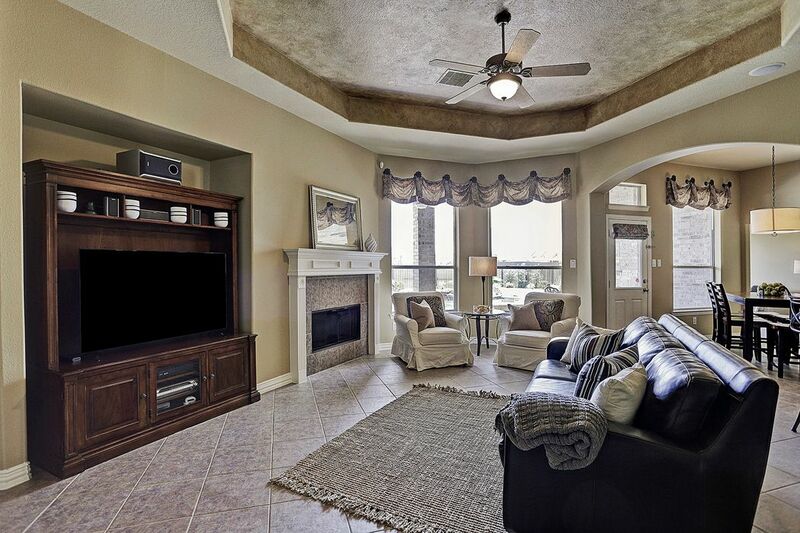 Large covered porch with two ceiling fans is great for entertaining. 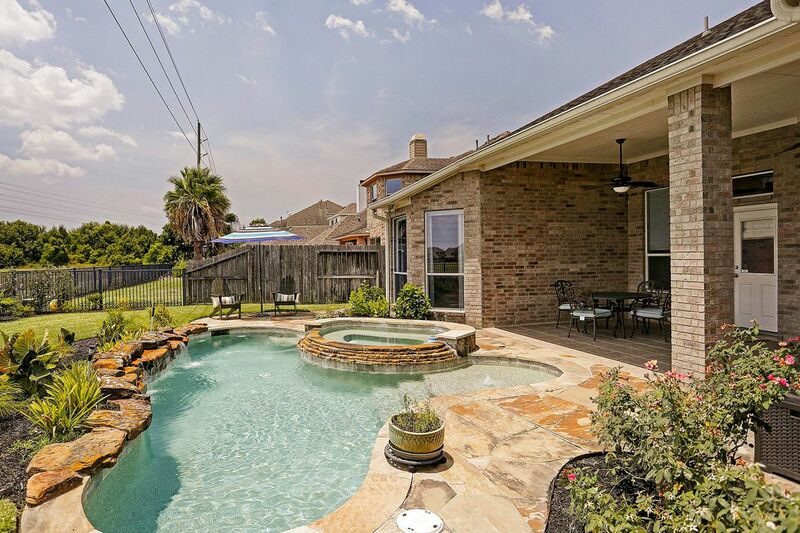 This wonderfully maintained home is a very short drive to I-10 and convenient to the Energy Corridor, Downtown Katy, and Katy High School. 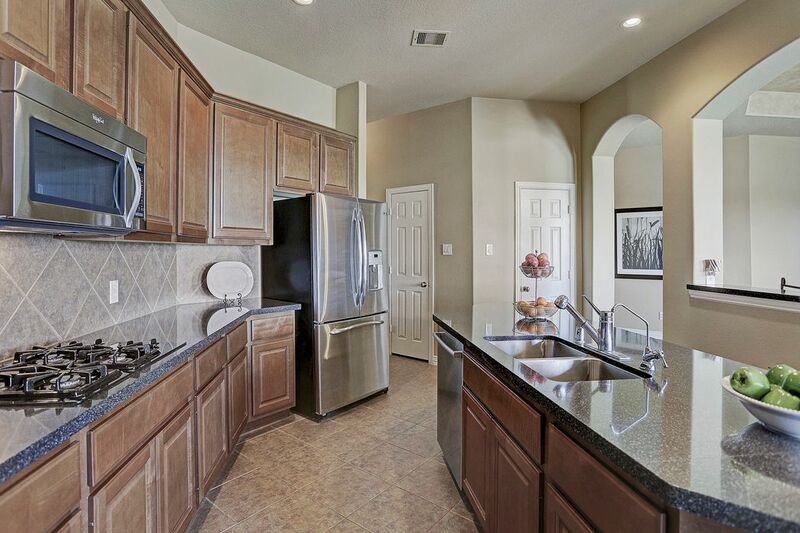 $419,000 4 Bedrooms2 Full / 1 Partial Baths3,528 sq. 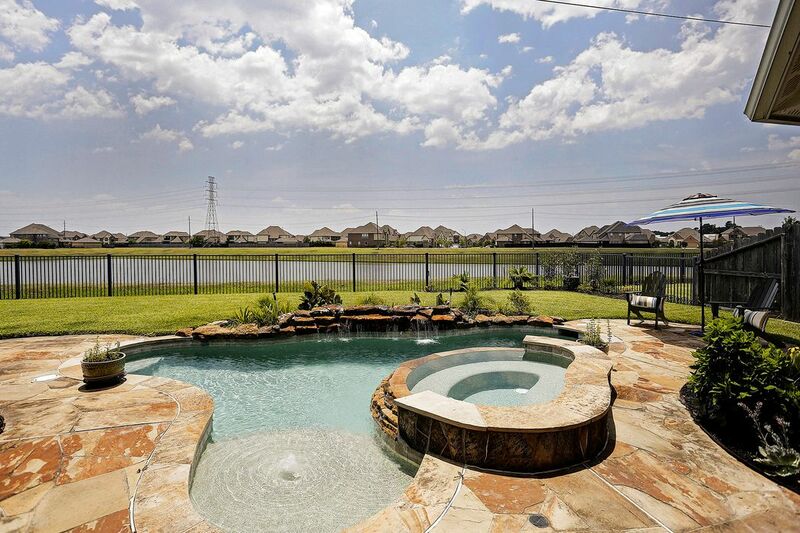 ft.
Fabulous 1-story in Woodcreek Reserve has a lake view and pool with spa and waterfall. Attached 3-car tandem garage and double wide driveway. 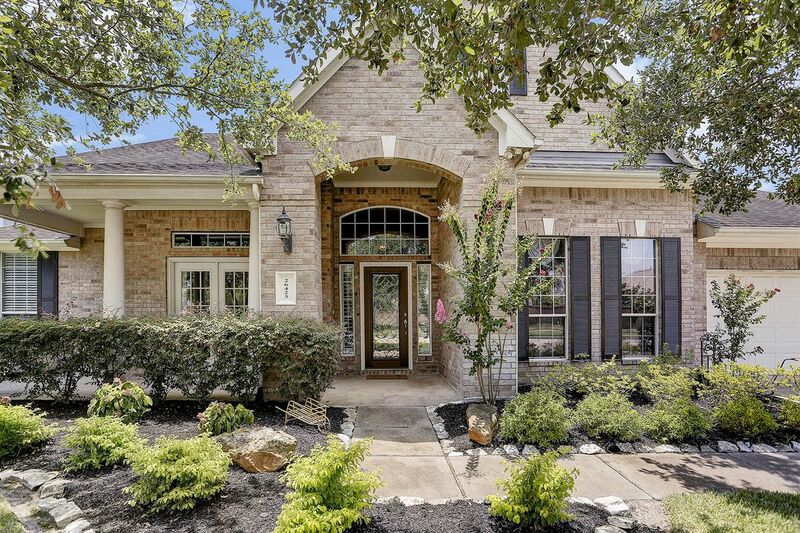 This exceptional home features a rotunda entry hall, study, wine area, island kitchen that opens to the main living area, breakfast room and game room. 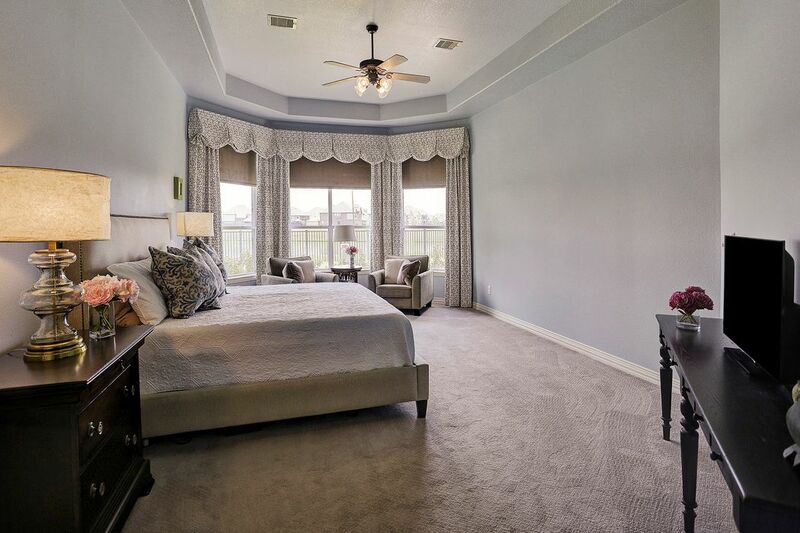 The large master bedroom with sitting area overlooks the lake. Covered back porch. 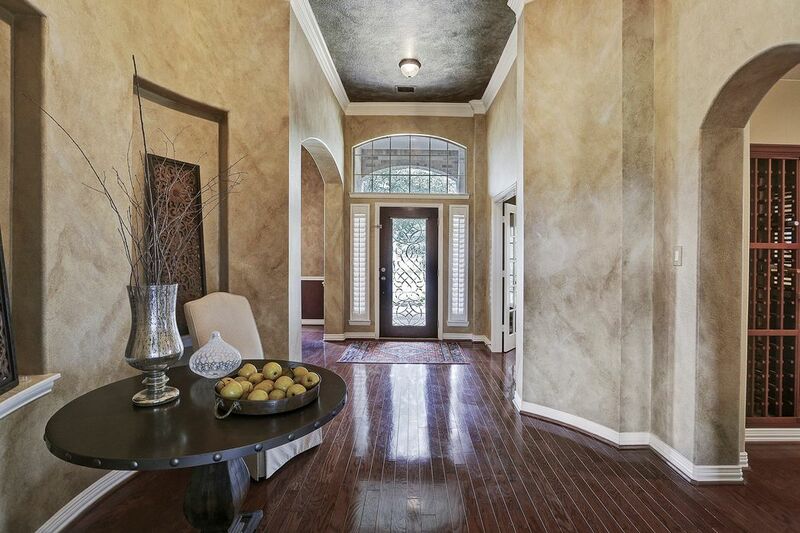 Custom paint throughout most of the home. Beautiful mature landscaping in both the front and back of the property. Zoned to Katy Independent School District. 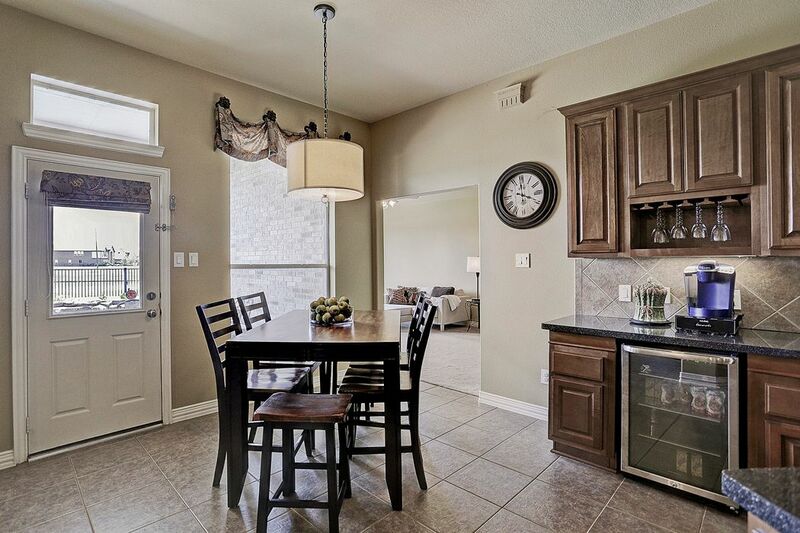 Easy access to I-10 and the Energy Corridor.